Rockets Junior Ladies 65 v 60 Charnwood College Riders. Rockets launched themselves with great propulsion into the opening 2 quarters of this first ever National Cup Final for Rockets Juniors Ladies as they stormed Riders 23-9 and 23-18 in the initial two quarters giving Rockets a comfortable 19 point advantage at the interval 46-27. 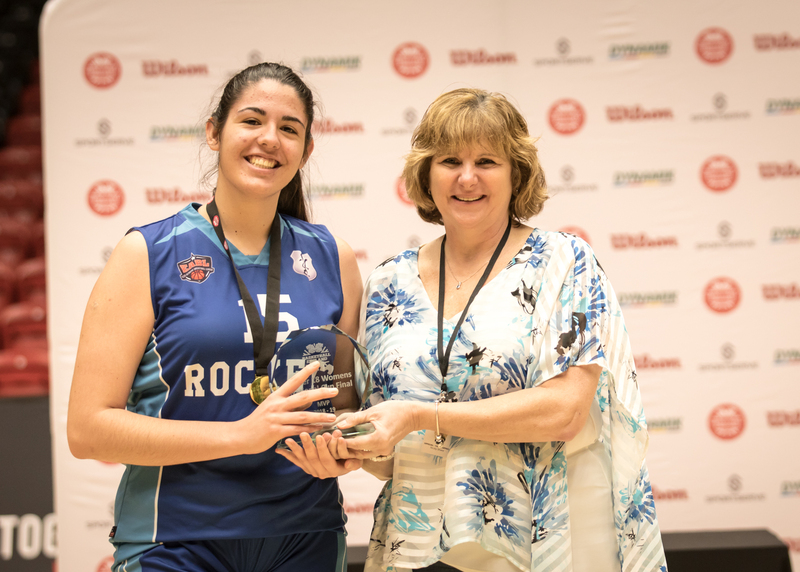 Carmen Moreno was finishing clinically with an average of over 83% conversion rate while Paula Tarrega was dominant on the boards for Rockets. 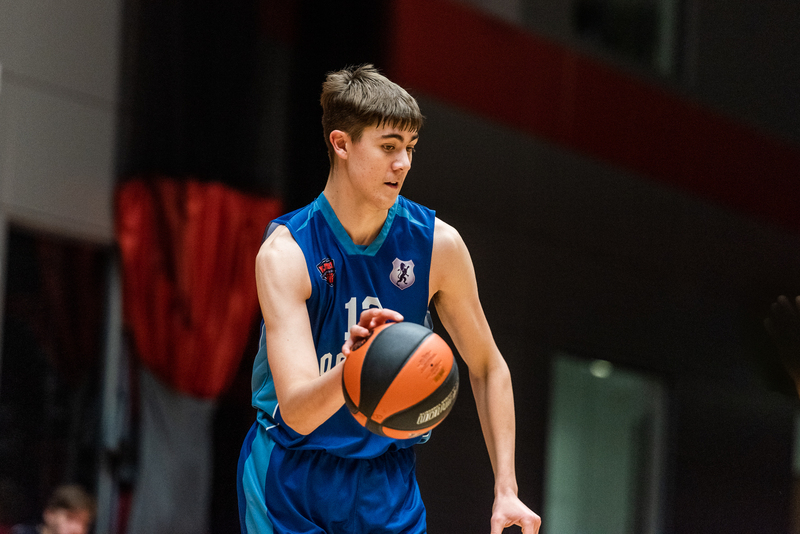 With Noa Sanchez Marques also over 83% shooting percentage and making assists, it was now crucial for the U 18’s to not get complacent as they knew Charnwood would come out fighting…..and how they did !! Rockets were restricted to just 11 points in the third period as Riders hit 15 and the game took on a different perspective. Now Rockets’ clinical finishing fell away as Riders defended with grit and determination as they fought to not lose 3 consecutive finals. Would the 57-42 advantage at the end of the third period be enough Riders began another charge ? Each team wanted to lift the cup in front of their passionate supporters. It was a mighty strong fight back by Riders in the final quarter as they restricted Rockets to just 8 points whilst scoring 18 themselves but Rockets prevailed with scores at key times and solid defence in the end game as they took the victory and held the cup high through their 65-60 win. 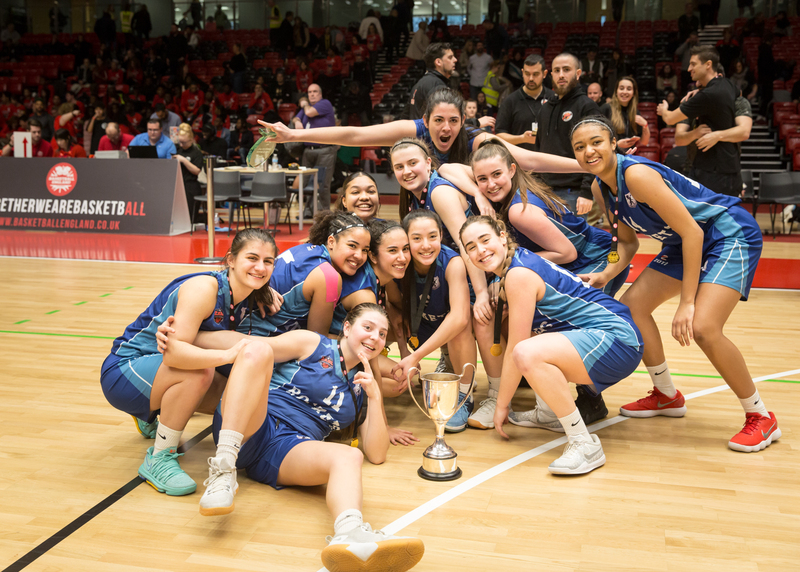 This was very much a team effort though the top scorers for Rockets were Anabel Latorre Ciria as she raised her game in the second half to finish as the game’s MVP with 17 points and 12 rebounds whilst Carmen Segura Moreno also hit 17 points, took down 4 rebounds and had a brace of assists and steals . Noa Sanchez Marques hit 16 pts., had 6 rebounds and 4 assists. Head Coach Blai Benlloch was thrilled with the Rockets Junior Ladies win as he recognises it’s the result of a dedicated academy investment programme at the John Madejski Academy . A pulsating game referred to by the commentators as one that will be regarded as the best ever U18 Junior Men Cup Final in the sports history ended with heart breaking final second defeat for Rockets as the final 3 point shot to lift the trophy, rimmed out and they found themselves forlorn on the court having truly given their all. This is the way Head Coach Fisher encouraged them throughout, ‘Don’t leave anything on the court, do your utmost and be proud.’ And for sure he and his team did just that in front of the biggest and loudest supporters the day had experienced. The majority of these young men have another year at this level and will be striving to succeed in next year’s competition. Rockets edged the opening quarter 17-16 but found themselves 33-39 adrift at the interval as Hawks lifted their finishing and stifled Rockets. The 15 minute break was a key time for Coach Fisher and his message was clearly received by his stalwarts as they took the third quarter 26-20 to leave the game delicately poised at 59 each as the final period began. Hawks opened with a score but Rockets edged ahead thanks to a Sam Grant treble. Hawks had a 6-0 run midway through the quarter but Rockets cut that to three with just two and a half minutes left…. a huge time in Basketball. Three Rockets shots rimmed back and Hawks led by five with Just 28.9 seconds remaining . Rockets drove on seeking the cup triumph and with 16.9secs left scored to get within three of Hawks. One from two from the free throw line extended Hawks lead but another big Rockets treble with 7.7 secs on the clock meant Rockets were tied . Another opportunity from the free throw line edged Hawks ahead by two. 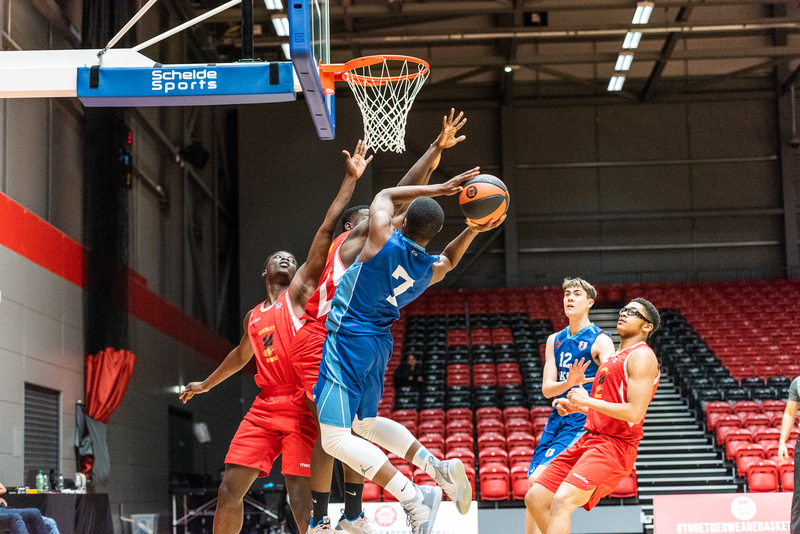 Again Rockets took off and the outstanding Grant launched a buzzer beating treble effort but it came back off the ring to leave an exhausted Rockets Juniors team bereft on the court. 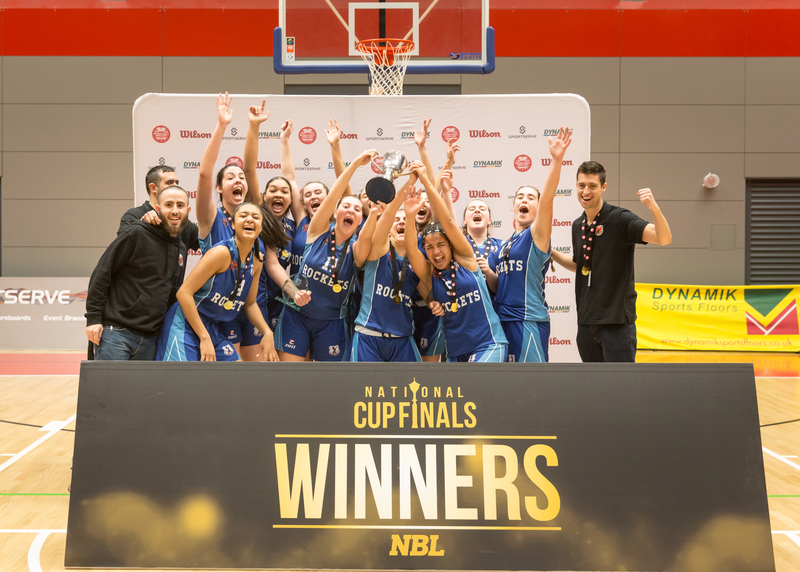 They had been in a fantastic final and Coach Fisher was proud of their magnificent effort in getting a National Cup Final and just falling a millimetres short of victory. For Rockets Sam Grant finished with 24 points, 8 rebounds and 3 assists , Ross Stepney with 17 points and 16 rebounds and David Chive 10 points, 8 rebounds and 8 assists . An absolutely great Saturday for Rockets Junior Men and Women and a great future ahead for some truly talented players.